What Does It Take to Pass the Ultimate Beer Test? In a new book, Portland writer Lucy Burningham details her quest to become a Certified Cicerone. We asked how she passed a test harder than bar exams, what trends she loves, and why Portland's brew scene needs more women. Chances are good Lucy Burningham knows waaaay more about beer than you. But she's not stingy with that knowledge. 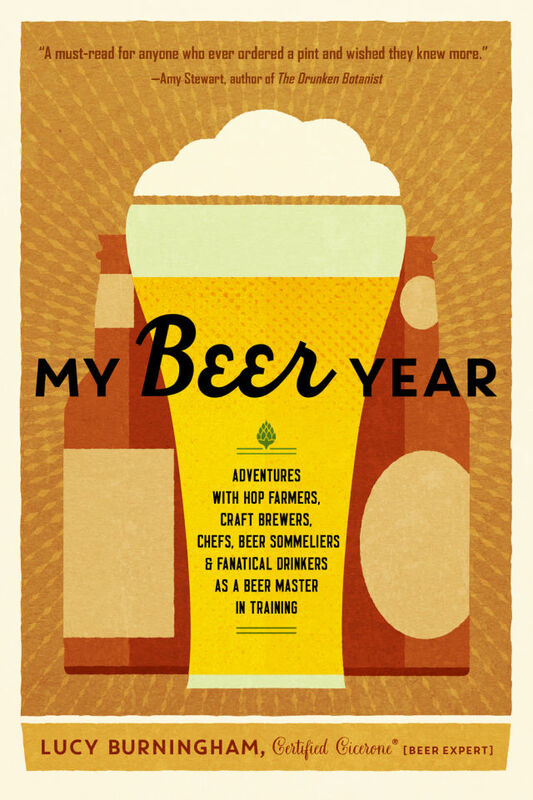 In fact, she's pretty much gift-wrapped a pounder of it in her brand-new memoir, My Beer Year: Adventures with Hop Farmers, Craft Brewers, Chefs, Beer Sommeliers & Fanatical Drinkers as a Beer Master in Training. 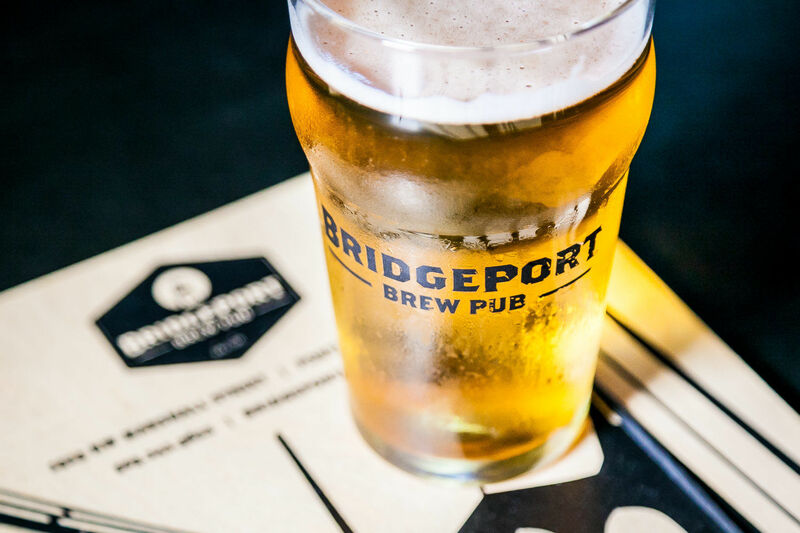 The Portland writer (and Portland Monthly contributor) thinks the world's favorite frosty beverage could benefit from your closer inspection. “People are used to talking about wine: using descriptor words, thinking about the grapes and the terroir,” says Burningham. She'd like beer fans, similarly, "to recognize the depth of this beverage." 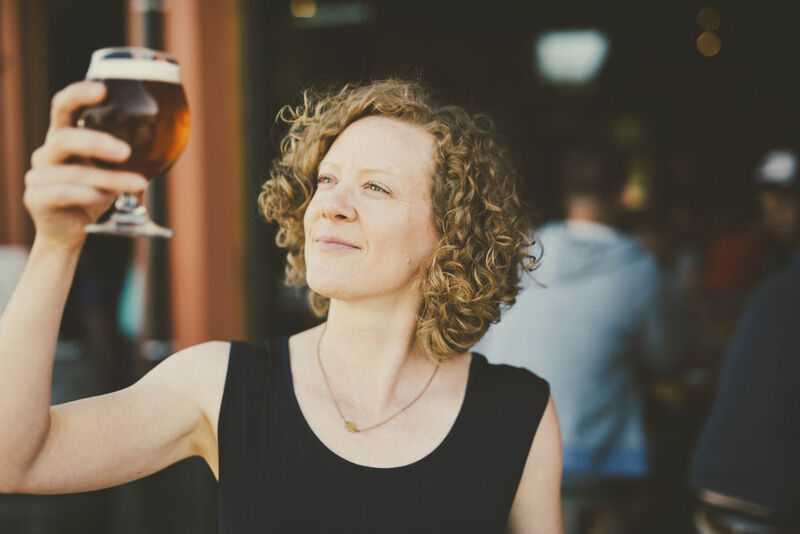 In advance of her November 6 reading at Powell's City of Books, we chatted with Burningham about Portland's starring role in her new book, why more women should join the craft brewing industry, and what happens when beer studies go too deep. Your book traces your efforts to become a Certified Cicerone—the second level in a new US-based program that aims to provide the beer equivalent to wine programs like the International Sommelier Guild. What did that process look like? Well, I’d actually started studying before getting the contract for the book, but I think I needed a nudge. Once I got the contract, it was like full speed go. The Cicerone exam doesn’t have any specified coursework. They give you a syllabus, some reading materials. Once you pass the first online test [Certified Beer Server], you can sign up for the second level: the Certified Cicerone test. There’s only a 40 percent pass rate, which is lower than most bar exams. How long did you prep for the test? I studied for a solid year. I really worked on how to identify off-flavors, beer styles by taste—these were things I took multiple classes on. I spent so much time working with people to develop my palate, to identify this crazy range of flavors and nuances in beer. So there’s that. I appreciate beer more now, and I know its history and how it’s made. For a while, learning all of that kind of took the fun out of it. And that was scary for me. It just got so intense for a while. When you pick something apart like that, it loses some of its magic. Since I passed the test I think I’ve recovered from that. And now you’re a Cicerone. What does that mean for you? The process and the experience have greatly changed the way I look at beer. It helps me as I continue to write about beer. I’d love to do more beer travel abroad—in my book I had the chance to go to Belgium and then skirted into Germany for about 48 hours, to Cologne where they brew Kölsch. And I do have all of these fantasies of what I want to do with the certification. I love pairing beer with food, so that’s one thing. 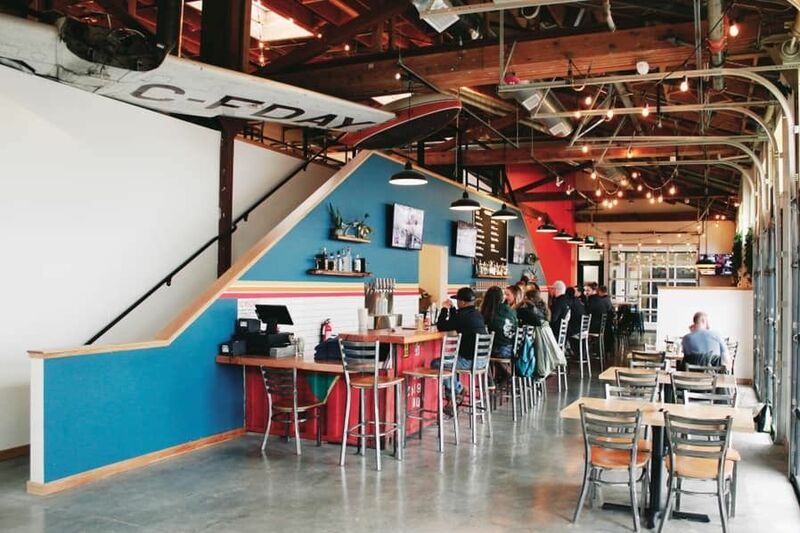 Here in Portland, there’s a really great food scene, and a really great beer scene, but I’m often really disappointed about how little overlap there is. If I could help make that happen, it would be a great honor. 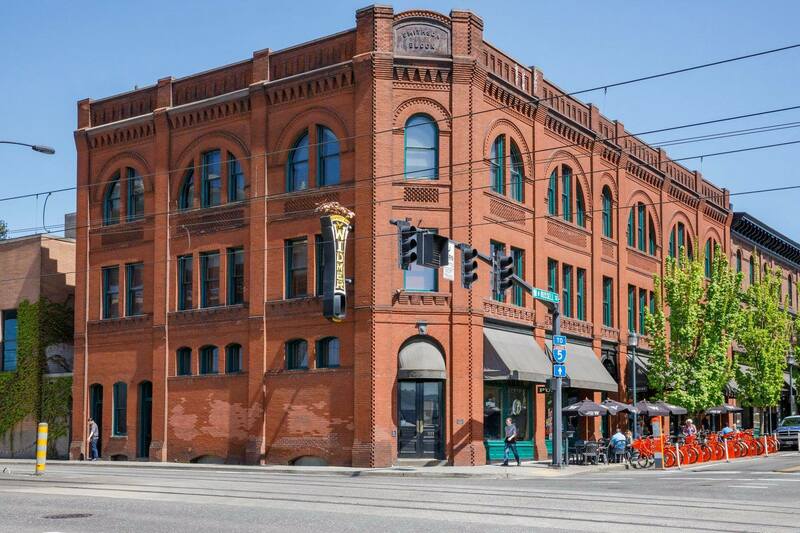 Your book is a broad, if personal, survey of beer, but many of your experiences center on Portland. You visit Yakima and Willamette Valley hop farms, you attend a taste panel at Widmer Brothers with Rob and Kurt Widmer, you get advice from Gigantic’s Van Havig before attending your first Great American Beer Festival. Why do you spend so much time on our city? For me, as the author, Portland was almost like a character. The beer scene here is what inspired me to get into beer. I moved here from Salt Lake City, Utah, where, as you can imagine, there isn’t a robust beer culture. When I moved here in 2005, I was just blown away by the level of knowledge the average beer drinker had: people who were able to talk about IBUs, the names of their favorite brewers. I was in the best place possible to study for this exam. I kind of feel bad for all the people who are aspiring Cicerones who aren’t able to be in a beer mecca like Portland. I know its kind of a cliché to talk about how wonderful the beer community is, but truly, people were so supportive of this project and opened their doors to me. Any brewer I asked if I could, say, come help brew a batch—no one ever said no to that. Who's the target reader for My Beer Year? The casual fan of the craft brew aisle, or those beer geeks who dream of taking a crack at the Cicerone certificate? I definitely included all the basics: what beer is, how it’s made, and its history, for people who might not be as familiar with the drink. But I do really go into some of the weird, geeky corners of this world, like visiting Cantillon and talking about spontaneous fermentation, or the logistics of brewing—how one degree temperature really matters on the boil. I’m hoping that everyone can find something in here that’s new to them. In the book, you very briefly note in one scene how frequently, in your beer research and travels, you find yourself one of the few ladies in any given group—possibly even the only one. What's your take on the gender politics of the beer industry? Being a woman in an underrepresented industry isn’t revolutionary by any means, but it’s something I definitely struggle with. And part of my struggle is how much to acknowledge that. And even as I wrote that scene, I debated, should I include it in my book? My worry is that talking about my gender detracts from my accomplishments in the beer world. But at the same time, it’s something I’m aware of. When I go to a beer event, I do this weird, unofficial count of how many women are in the room, what percentage they comprise. I’m often wishing I didn’t do that, but I can’t personally ignore that I’m in the minority. Even as I’ve been so welcomed within the beer community, I’ve seen some subtle sexism from outside that community. The last time this happened, I was signing copies of my book Hop in the Saddle, and a man came up, looked me up and down, and said, “You don’t look like someone who would drink beer.” Afterwards, I wondered, what is he talking about, my body shape? How I should look? Either way, I wish he hadn’t said that. Why is beer such a guy thing? I think it’s just been that way for so long. I have seen a dramatic shift in the 11 years I’ve been here. There are way more women in every part of the beer industry. There was this scene I did in the book, where I went to a women's brew club in Portland. I went in a little cynical, thinking, why do we need a ladies brew club? Why are we calling out gender when we could just be brewing? But I realized as it went on that there was something different about it for me than brewing at home with my husband. It was refreshing to be around other women who wanted to talk about the technicalities of brewing. That's not something I experience a lot. I do wish there were more women brewers in Portland. I think there are probably women interested in entering the beer world who feel isn't available to them. By bringing it up here and there—which I'm hesitant to do often, because I don't want that to be my focus—we can acknowledge this so more women can feel welcome. What’s your aim for the book? I’m hoping it helps spark some new conversations. I had one this summer. I went to a wedding in North Carolina and told some people about the book and what I did for a living. We ended up gathered around to taste a couple of beers in a circle: What do you smell? What does this beer look like? What are you tasting? What does it remind you of? It was a bunch of women who hadn’t really spent a lot of time talking about beer in this way. And it was fun for me to help with that—to recognize the depth of this beverage. 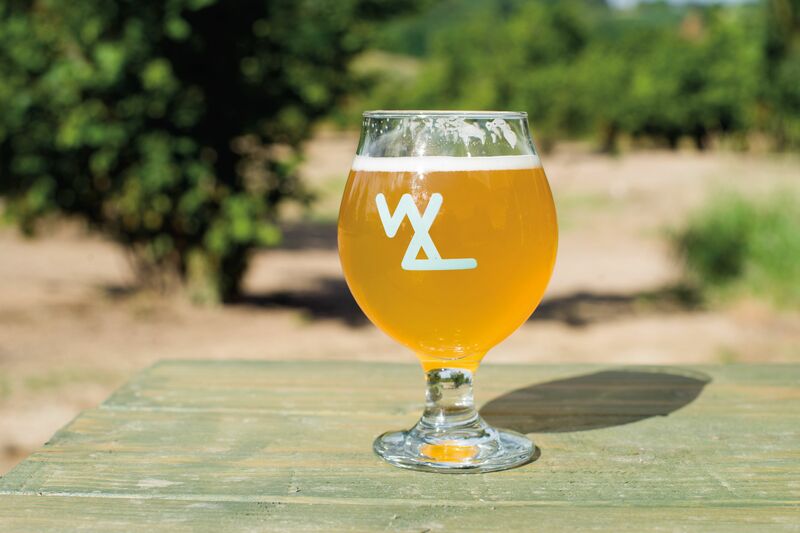 So what’s next for craft beer? I actually just got back from my second GABF. I’m constantly amazed at how much this industry is growing. it’s mind-boggling how many new breweries there are every year, and the different styles that people are inventing. I tasted some beers from a brewery named Scratch and they all had mushrooms in them. And then the truffle beer at [Newberg brewery] Wolves and People—it was cool to see how Christian [DeBenedetti] was able to get the essence in there with truffled hazelnuts; a brilliant technique that imparted a strong truffle flavor. Mushroom beers—I’m a fan. And dry-hopped sours just keep coming. It’s a really exciting trend. Lucy Burningham reads at Powell's City of Books at 7:30 p.m. Sunday, November 6.